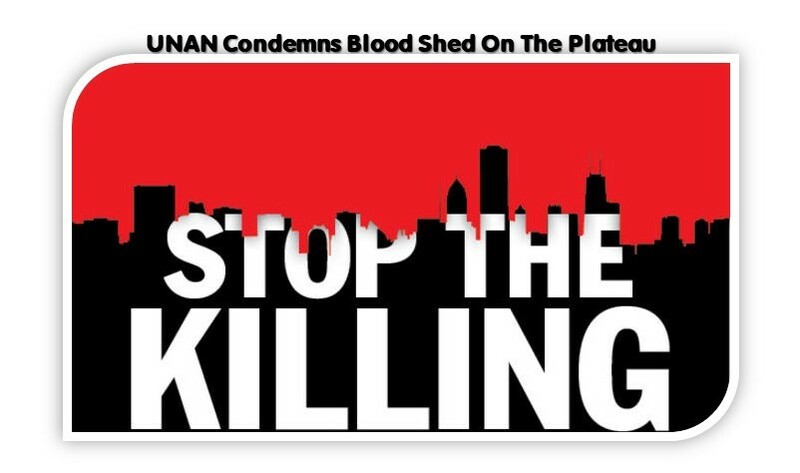 The United Nations Association of Nigeria (UNAN) condemns the incessant killings in Plateau, Benue, Nasarawa, Taraba, Adamawa and Kaduna States. These killings and in particular the latest one in Plateau State have certainly increased over the last few years and threaten the Unity, Peace, development and National cohesion of Nigeria. Our thoughts, prayers and condolences go to the families who lost their loved ones or those who have been displaced by the various crises. UNAN reiterates that everyone has their fundamental human rights and as such should not be unnecessarily be dislocated by the unexpected disturbances. Efforts being made by the Federal, State and Local Governments to end the menace will have to be urgently increased to avoid the frequent trespass of farmlands while perpetuators of crimes are brought to book. This will avoid reprisal attacks and taking laws into hands of individuals. While we call on the relevant security agencies to further increase their protection of lives and properties within the Country, they have to show more professionalism and react more promptly to reports of attacks. The Association believes that Peace and Justice are interdependent and are of building blocks to achieving the Sustainable Development Goals.